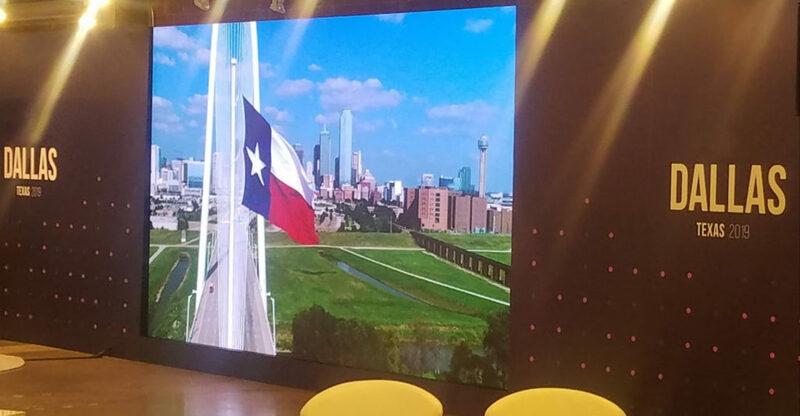 Our lead LED Tech, Brian Barry, recently travelled to Dallas with 45 of our Dazzle 2.9mm panels for a corporate meeting. These hi-resolution panels provide for a viewing distance as close as 8′, allowing your audience to get up close and personal. These versatile tiles also have built in curveability for more creative displays. Plan on incorporating this hi-res display into your next meeting or trade show booth and Dazzle your audience! When it comes to LED display equipment, expertise, and support, LED3 leads the way.